Airbags can make the difference between life and death for motor vehicle passengers in an accident. Airbags have proven to be a major factor contributing to increased motor vehicle passenger safety and survival in motor accidents. Airbags assist in protecting the passengers head from striking the side of the car or rigid objects like trees or poles in a crash or the ground in the event of a rollover. Airbags are also very important in side impacts where a properly belted occupant can still be struck by an object in or entering the vehicle. Research conducted in the USA estimates that head protecting airbags can reduce driver deaths in the event of a side impact crash by up to to 40%. In Australia, analysis of the efficacy of airbags for head protection showed a 37% reduction in a car drivers risk of death in driver-side crashes. 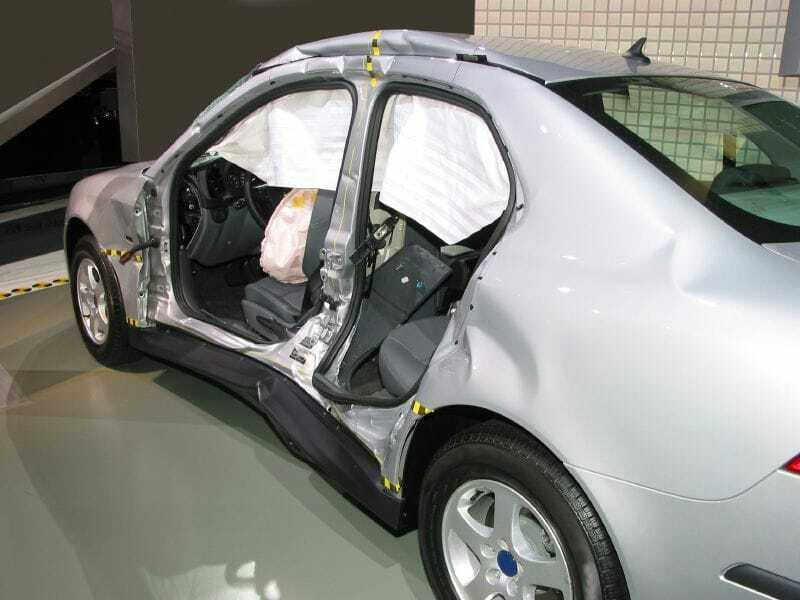 Fatality risk was reduced by 26% when side airbags were used to protect the torso. Governments in Australia are strongly promoting the use of airbags. In September 2007, the National Highway Traffic Safety Administration (NHTSA) issued new side impact safety requirements that are likely to result in more vehicle manufacturers equipping their vehicles with integrated side airbags. The new standard requires car manufacturers to provide increased head and torso protection for front seat and rear seat occupants in side impact crashes, although the standard does not mandate side airbags specifically. Currently, integrated side airbags whilst not mandatory are offered as either standard or optional features by many vehicle manufacturers. In Australia during 2009, 88% of all new passenger vehicle models offered for sale included side airbags with 75% as standard equipment and 13% as optional equipment. Of 2009 model year vehicles, integarted side airbags were provided as standard or optional equipment in 95% of cars, 100% of SUVs and 66% of utes. The Victorian government has legislated that all new cars registered from 2012 will need to be fitted with head protecting technology like integrated side airbags or side curtain airbags. In 2008, approximately 40% of all new Victorian vehicles sold had integrated side or side curtain airbags. This trend is anticipated to increase and is likely to be replicated throughout Australia. Airbags save lives and are being fitted to more and more vehicles but airbags and car seat covers can have problems. Seat covers with side slits are not the answer because they may misalign, move, can be improperly fitted and look ugly. So Ilana developed Deploy Safe airbag safe seat covers.